Apple is employing the help of a popular app to help it fight fake news. 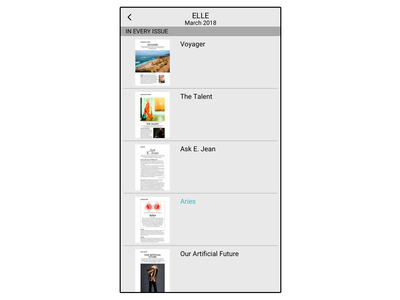 Texture basically imports full issues of magazines and lets users read them in the original format. 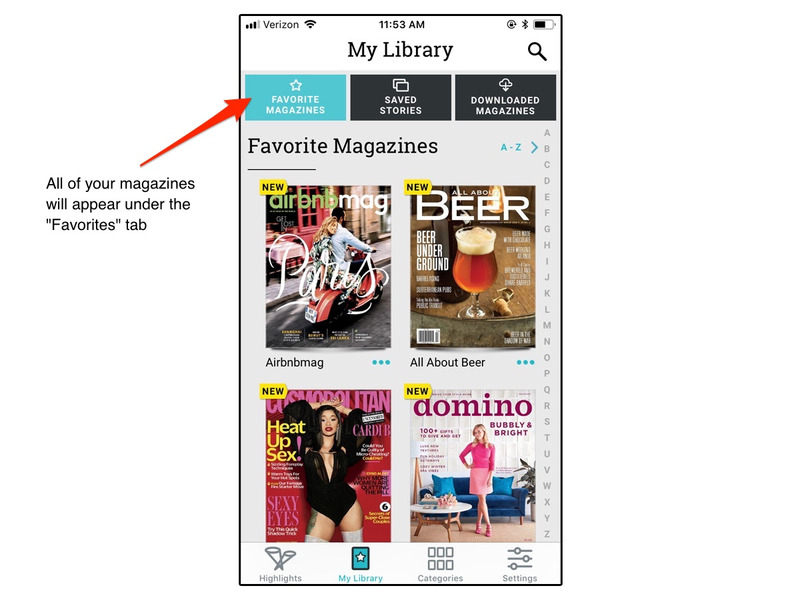 You can save individual articles and even download the entire issue, all within a beautifully designed app. But it wasn’t just Texture’s look and feel that attracted Apple’s interest. 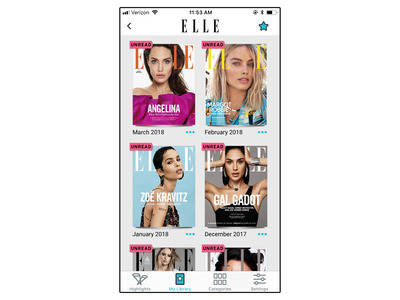 In an interview on Monday, Apple’s head of software and services, Eddy Cue, said Apple wanted to use the app to bring quality journalism to its users. 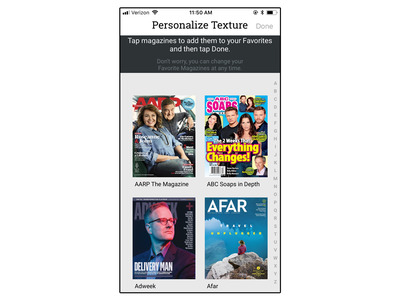 Apple hasn’t said how it will incorporate Texture into its lineup of products – it already has the News app, and Texture seems like a natural addition to it. 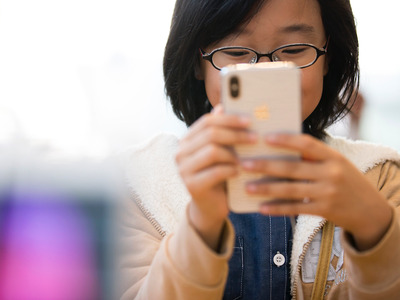 But if Cue’s comments are any indication, the acquisition is an effort to prioritise traditional news sources – and keep fake news off its devices. 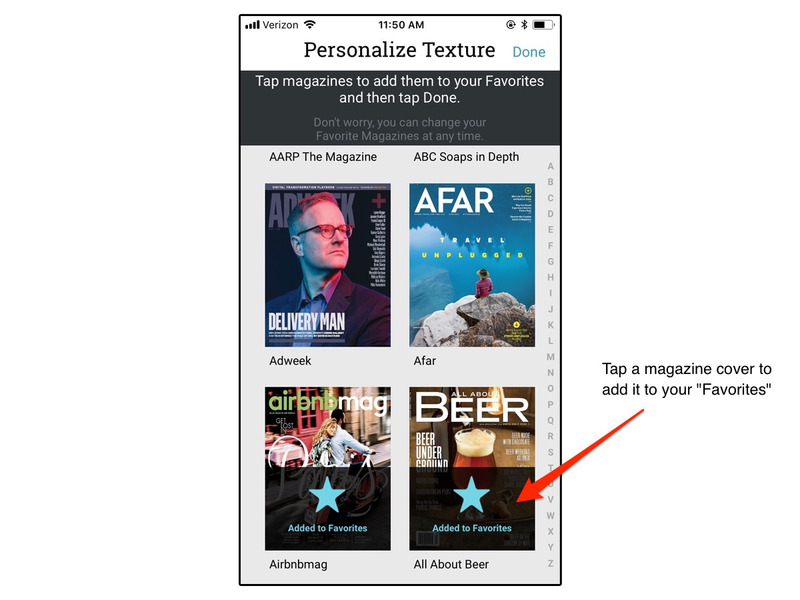 For now, however, Texture remains a standalone app in the App Store and the Google Play Store. Here’s how it works. 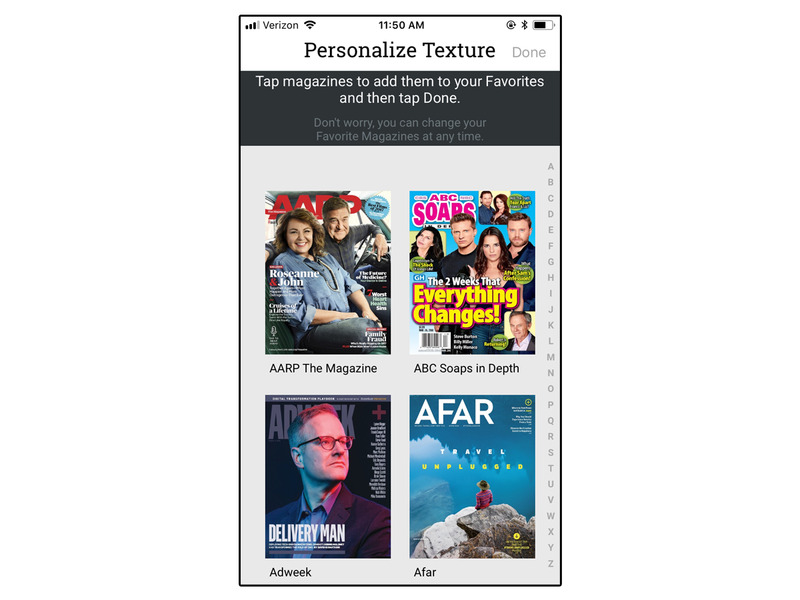 Texture is free to download for iPhones and Android devices, but you’ll need to pay a subscription fee to use the app and access its catalogue of more than 200 magazines. 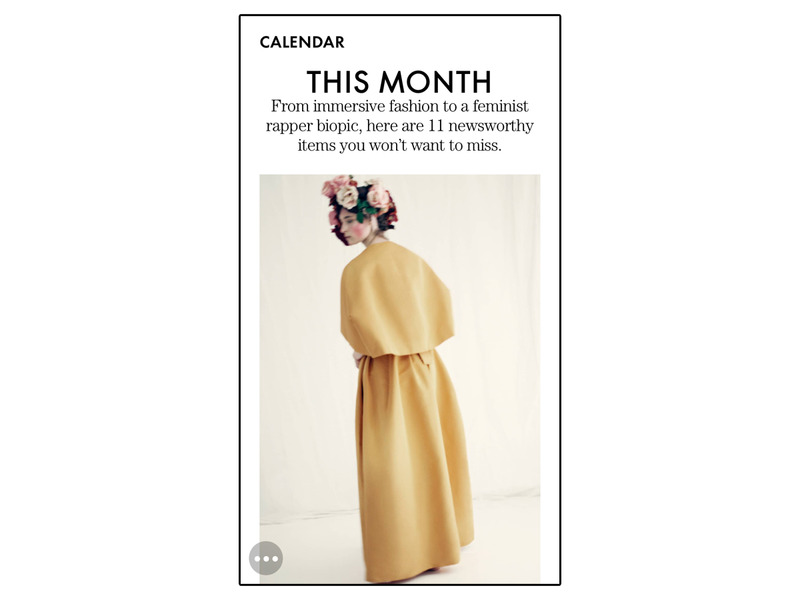 When you’re getting started with Texture, you’ll see this screen, which has all the magazines the app offers. 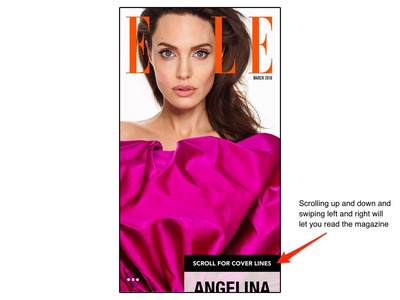 Tapping on the covers of the magazines you like adds them to your favourites. 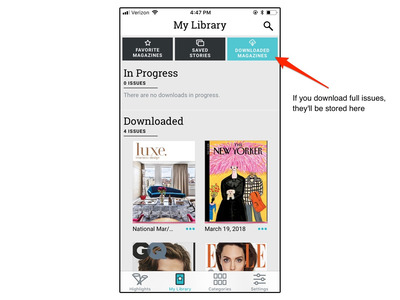 Once you choose some favourites, you’ll be able to access them in your library. When a new issue is out, Texture will let you know. When you click on a cover, Texture will show you every issue available in the app. Even if you missed one from a few months ago, you’ll be able to find it in Texture. 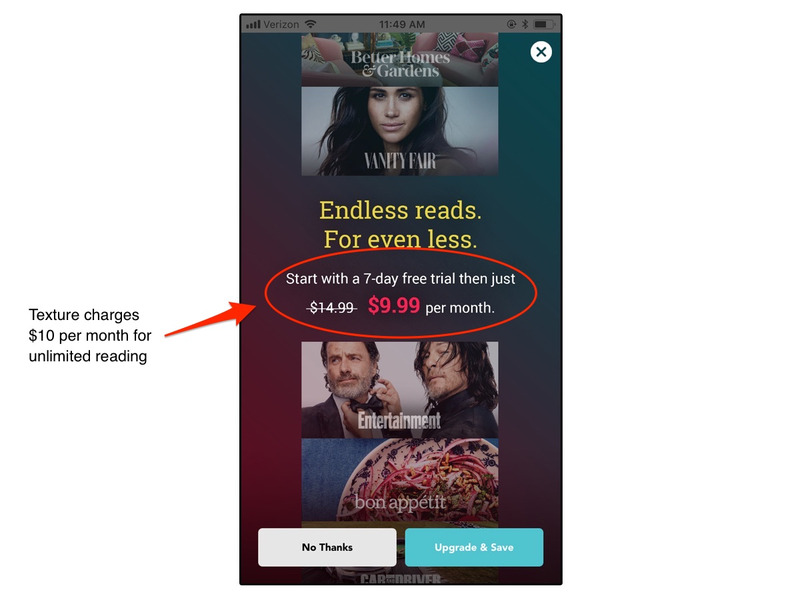 Tapping on a cover brings up the full issue. 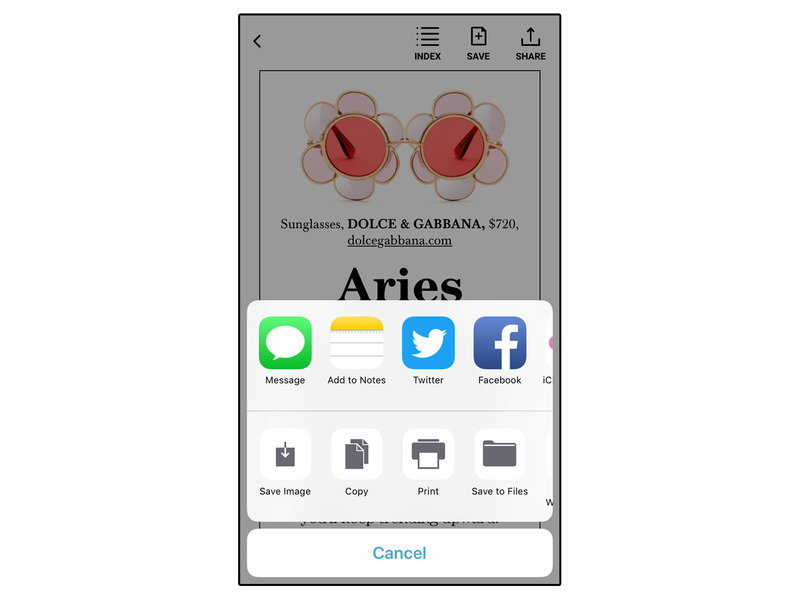 Texture imports the entire issue so you can flip through each page as you would the print version. To read the full cover, scroll up and down. Swiping left and right will turn the pages. 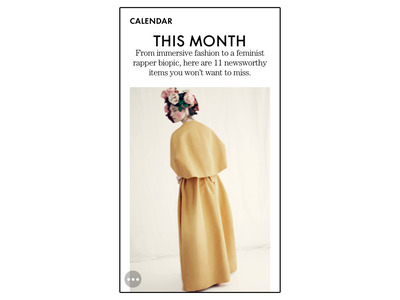 What makes Texture such a beautiful app is the way it presents magazines. Each issue is formatted for the app, making it a lot easier to read. Texture even includes the ads. 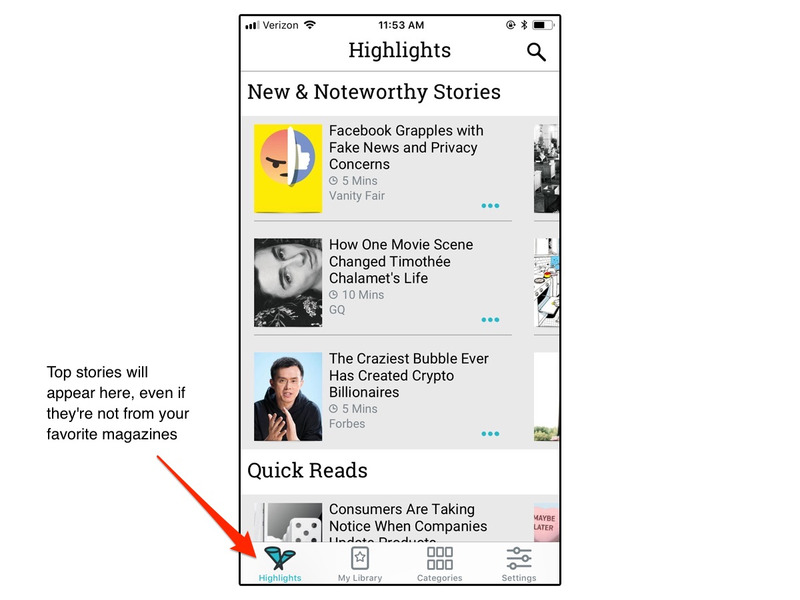 When you’re reading a story in the app, you’ll see three menu items at the top: index, save, and share. 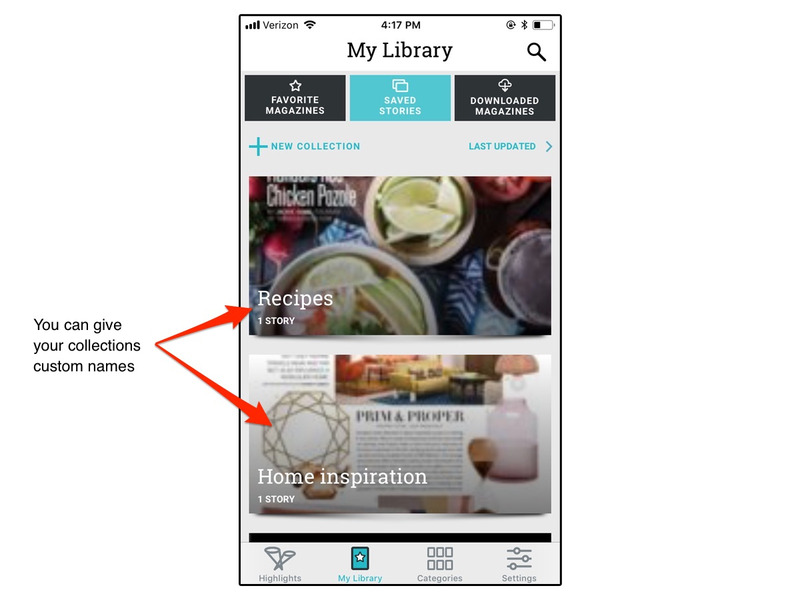 Clicking “index” will take you to a table of contents. 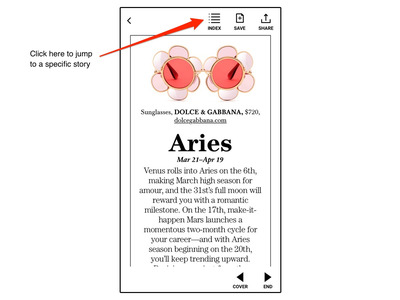 Within the index, you can jump to a specific page rather than flip through the entire magazine. 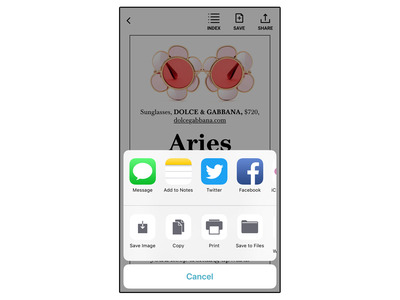 Clicking “share” lets you send the page to a friend, save it to your notes app, post it on Twitter, and more. 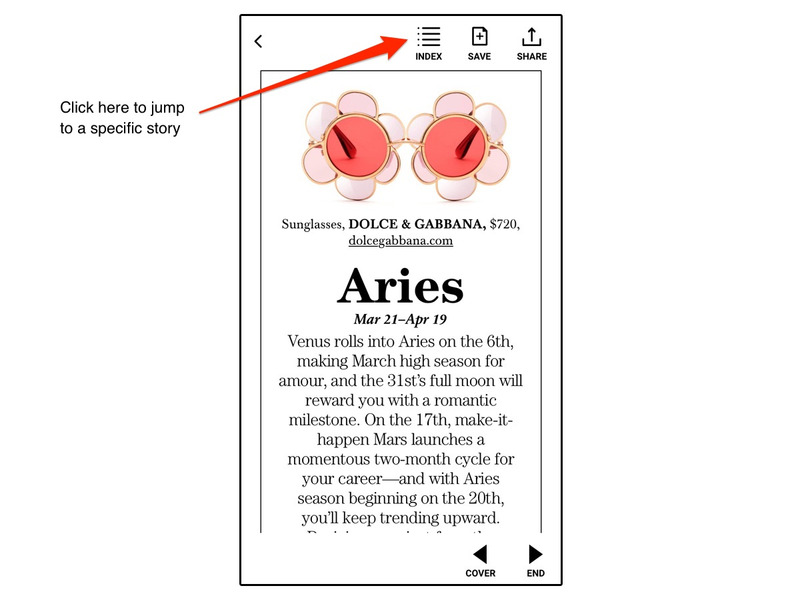 Texture also lets you save stories so you can find them again later. 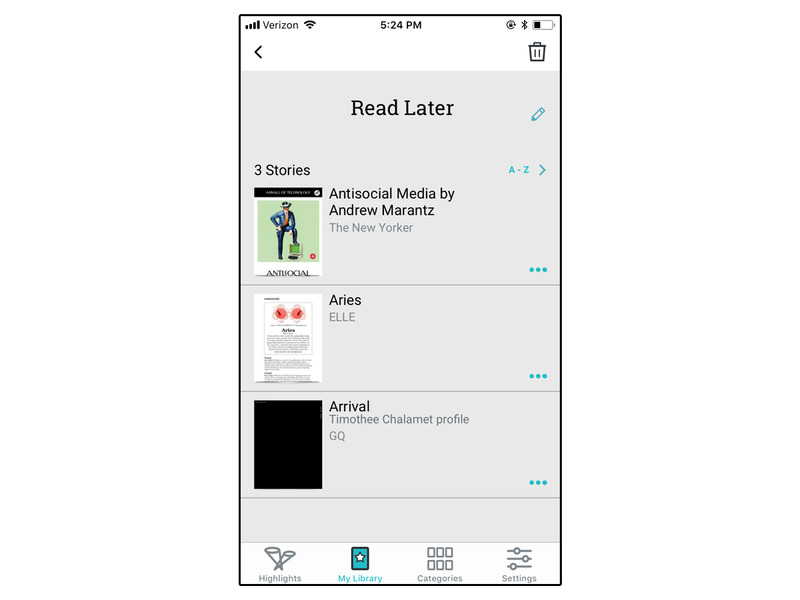 Clicking “save” will let you add it to a collection — like “read later” — and you can even include notes to remind yourself of the story. 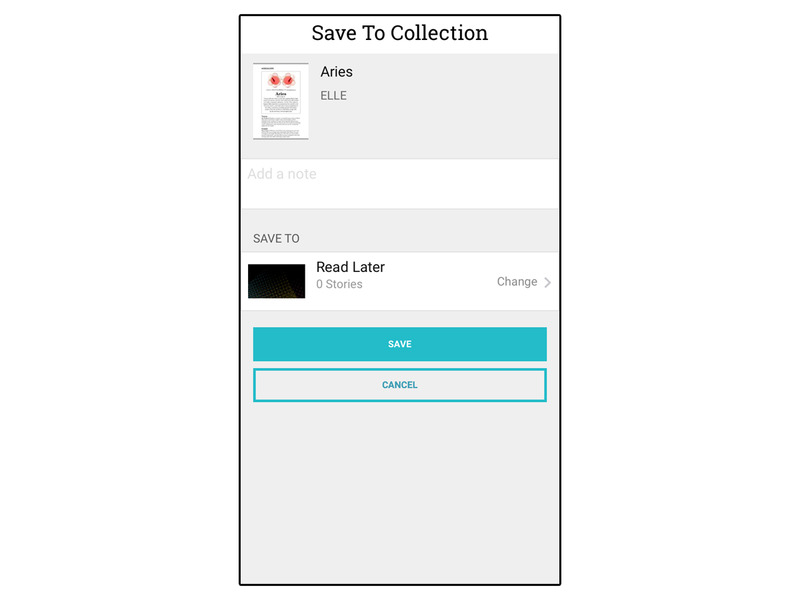 Texture has some preloaded collections, but you can also create your own depending on your interests. You’ll find them all under the saved stories tab on your home screen. Within each collection, your saved articles are sorted alphabetically. One other cool feature: Texture lets you download full issues for offline reading. And if you’re looking for something new to read, Texture has a highlights tab, which shows you new and trending stories from magazines you aren’t already reading. Texture is available for iPhones and Android devices. It’s free to download, but an unlimited subscription costs $US10 a month. If you want to try it, Texture offers a one-week free trial.